At the Brandywine River Museum of Art, Chadds Ford, PA. Traveling to the Burchfield Penney Art Center, Buffalo, NY. 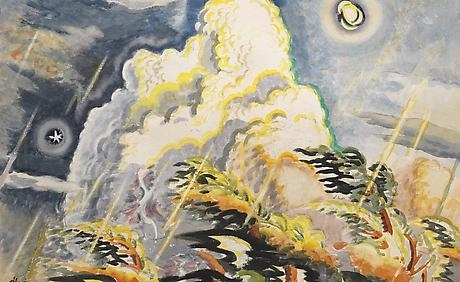 The vibrant, visionary landscapes of Charles Burchfield (1893-1967), one of the leading American artists of the 20th century, are the focus of this major exhibition, featuring over 50 paintings borrowed from important public and private collections across the United States. The exhibition will provide a remarkable opportunity to examine the artist’s luminous, spiritual interpretations of the world around him.